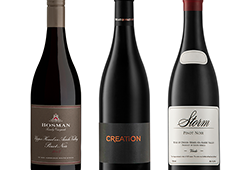 In the same way that Hannes Storm has been enthralled by Pinot noir since tasting a 1990 Domaine Armand Rousseau Chambertin in the year 2000, consumers locally and abroad have been spellbound by Hannes Storm’s deftness with Pinot noir and Chardonnay in both the vineyard and the cellar. 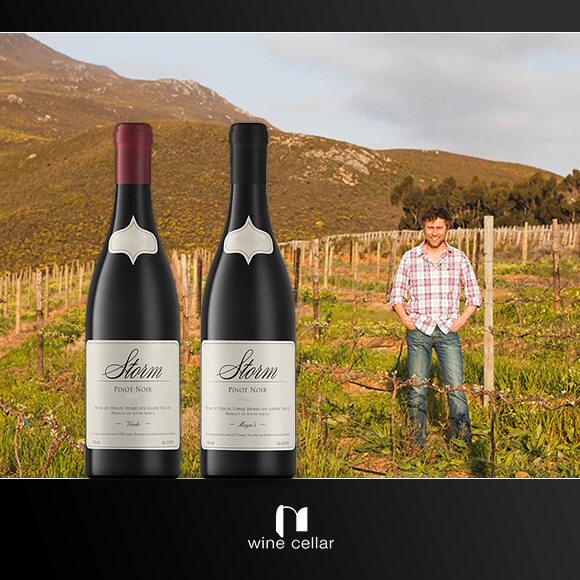 Hannes Storm has spent nearly two decades pursuing perfection in Pinot noir and Chardonnay. 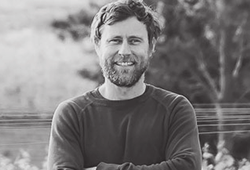 After 12 years as winemaker at Hamilton Russell, he started his eponymous label Storm Wines in 2012. Whilst there is a lot of focus on Pinot noir, the Storm Vrede Chardonnay 2017 is not to be overlooked. 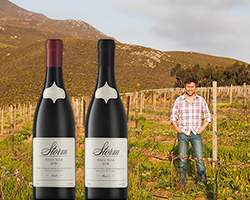 The Chardonnay vines grow on the same low-vigour, stony, clay-rich, Bokkeveld shale soils in the Hemel-en-Aarde Valley as the Storm Vrede Pinot noir. 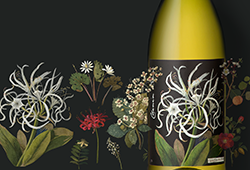 Cooler nights during the 2017 growing season resulted in a beautifully balanced Chardonnay, with crisp citrus, white pear, spice and a dry, mineral finish. All three Pinot Noirs are from the generous 2016 vintage, that gave small, concentrated bunches and thus opulent, concentrated wines. Whilst the drought was in full swing during 2016 in the Cape, the Hemel-en-Aarde Valley was blessed by the cool Atlantic Ocean influence. This resulted in cool mornings and nights, thus allowing for beautiful natural acidity essential for freshness, fruit purity and ageability. We only have a very small parcel available and is available online on a first-come, first-served basis.